Successful financial investigations reflect a strategy wherein intuition and sound judgment are equally as important as accounting for numbers and the ability to adjust to complex IT environments. From solving a fraud investigation to proving the case in criminal and civil courts, Marschdorf Forensics brings the necessary skills and more than twenty years of investigative experience to the table. Marschdorf Forensics combines big-firm senior partner experience with the flexibility of a small operation, the ability to function in three languages and to adapt to a variety of cultural environments. Successful financial investigations reflect a strategy wherein the human element of the alleged perpetrator is equally as important as accounting for numbers. Essential components for moulding an effective financial investigative strategy are based on judgement, intuition, and specialty knowledge in criminalistics and information technology. Mr. Marschdorf has provided legal counsel and corporate clients with this investigative capacity from more than 20 years of practical financial case experience. 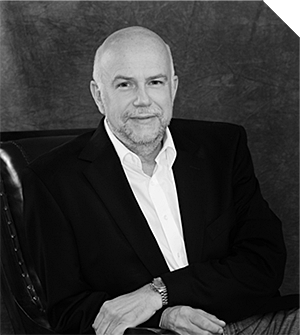 As a former leader of a cross-continental European investigations practice within a “Big 4” professional services firm, Mr. Marschdorf also provides the “Big 4” large case management experience without the potential conflict issues. As a boutique firm operation, Marschdorf Forensics provides its services without having to be concerned about information loss from delegation to inexperienced staff, a phenomenon often observed in forensic practices of big professional services firms. When needed, we partner with hand-picked experienced practitioners in Europe and North America. Solving a fraud case is often easy. Proving the solution beyond reasonable doubt in criminal courts or on a balance of probabilities in civil proceedings is the true challenge. His leadership experience includes managing a large investigations practice across countries in Europe and managing complex cases with interdisciplinary teams. Mr. Marschdorf holds a PhD in Business Administration from the University of Cologne. As Chartered Accountant admitted in Germany, he can practice in the European Union and Switzerland. He also holds the professional designations “Certified Fraud Examiner” in the United States and “Chartered Director” in Canada. He serves as Vice Chairman on the Advisory Board to a Berlin MBA program of the Steinbeis Hochschule, School of Governance Risk and Compliance, for which he is also a member of the faculty. Founder and Partner of Marschdorf & Wollny in Berlin, a practice specializing in financial investigations. Founder of Forensika GmbH, Berlin, Germany and Forensika AG, Lucerne, Switzerland. Partner in charge of the European Investigative Services Practice at Price Waterhouse (later pwc). When a suspicion of fraud surfaces, Marschdorf Forensics can conduct internal investigations or support your existing resources such as your internal audit department in their investigative efforts by guiding and leading their teams. Counsels representing victims of fraud may find themselves in need of evaluating large numbers of documentary evidence. The dynamics of a fraud scheme can often be reconstructed from correspondence, in particular email correspondence or account statements including supporting documents. Correspondence often speaks through more than the mere facts expressed in a document. The frequency of correspondence between specific players, the tone of their communication often displays the nature of relationships. Sometimes, what is not being said can be more revealing than what is being said. This being said, we crunch the numbers, too, using database and spreadsheet software and working with client’s discovery management software such as “Recommind” or “Summation”. The sheer size of materials to evaluate in some cases can make it unavoidable to engage big professional service firms. The delegation structure regularly applied within the big firm environment often means that the one or two experienced individuals on such an investigation cannot immerse themselves sufficiently in an investigation. Marschdorf and his experienced colleagues can insert themselves into investigation teams of large firms, providing the grey hair experience required to successfully bringing together the evidence to make a case. Expert testimony is a challenging, often daunting mandate. Giving testimony means that the expert has to have a grasp of every piece of evidence supporting or contradicting charges or claims, even those, which only seem to serve such purpose and the ability to understand the big picture. Often, investigators are barred from testifying due to bias considerations or are unable to testify, because, due to extensive delegation, they do not have enough understanding of case details to survive cross-examination. Sometimes, the issue is as simple as the courts not accepting foreign country qualifications as credentials. In the past, Marschdorf has been admitted as expert witness and testified in the United States, Canada and several European jurisdictions, in criminal courts as well as civil courts, in cases charging money laundering, senior management fraud, bribery and procurement fraud. Together with the School of Governance Risk and Compliance of the Steinbeis Hochschule, in Berlin, Germany, Marschdorf Forensics offers Compliance Risk Assessments based on a proprietary model developed at this University. The model allows compliance risk assessment not only in a binary mode (compliant/non compliant), but allows for gradual differentiations. The model also gives tailored directions how to improve an existing status of non-compliance risks with specific measures by evaluating quality and completeness of compliance risk management processes. The Attorney General of a country commonly referred to as a tax haven country had received a mutual legal assistance request from a foreign country. The prime minister of that country had allegedly accepted bribes from a well-known businessman in that country. In this 2008 contribution to the omnibus publication initiated by Raimund Röhrich from Frankfurt, Germany, Hans Marschdorf takes a macroeconomic view on the impact of prosecuting foreign corrupt practices on the development of international trade.